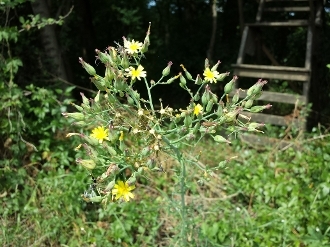 Wild Lettuce (Lactuca canadensis) is a member of the daisy family that is related to the common garden variety of lettuce that originates from Europe. In spite of it’s name, the plant is not a vegetable but a member of the aster family. Botanical Kratom's all-natural, organic, cut and sifted Wild Lettuce is sure to impress from the moment you open your package. Inside, you will find a wonderfully fresh, brown and green, cut and sifted leafy herb. We listen to our clients, and based upon their feedback brought only the finest organic Wild Lettuce crushed leaves to the market. Our relationships with our clients is a key component in not only developing but also bringing only the finest in quality to the botanicals market. Providing the highest in quality is the guiding principle that underpins our values and the way we do business. Our organic Wild Lettuce crushed leaves are no exception, and, like all of our herbs, is thoroughly and independently tested for heavy metals, pesticides, and microbial contaminants.